The technique of transforming an aluminium sheet into a complex shape is the basis of our know-how. 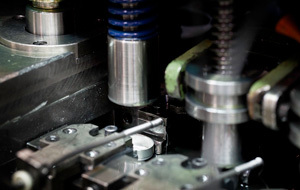 At TESEM, we are able to manufacture aluminium components of many forms, from the most basic to the most complex. 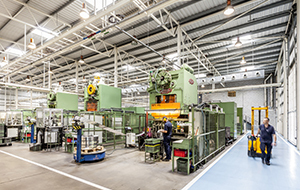 TESEM produces over 275 million aluminium parts each year. The high capacity of our production is achieved by the use of machinery and technology that enable us to solve the most complex challenges. This is all done under the leadership of a team of highly qualified technical and mechanical experts with wide industrial experience. Most of the aluminium parts we manufacture are produced by the deep drawing technique. Deep drawing is a mechanical process of cold metal forming used to obtain a part that does not have mouldable geometry. It starts with an aluminium sheet which is shaped in various deforming steps until the final shape is achieved. 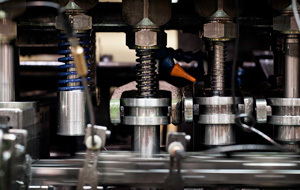 Deep drawing is obtained from the pressure of punches into die cavities that provide the final shape step by step. A fully automated process that provides colour, protection and an improvement of the finish. A noble material, always synonymous with quality.